Sorry this is so late folks. I thought this was sent out - and it turns out I wrote it up and never sent it. So instead you get a new, fresh version. So the month started with GenCon in all it's glory. A great convention, it can take a few days to recover. I guess it fried my brain a little more than usual - as I had forgotten that I hadn't sent out my monthly mantic missives. On the Kings of War front - the brand new Empire of Dust army is now shipping. If you prefer your undead dry and powdery (as opposed to the wet, sticky kind) then this is the army for you. The biggest news however isn't the new army, but the new book. 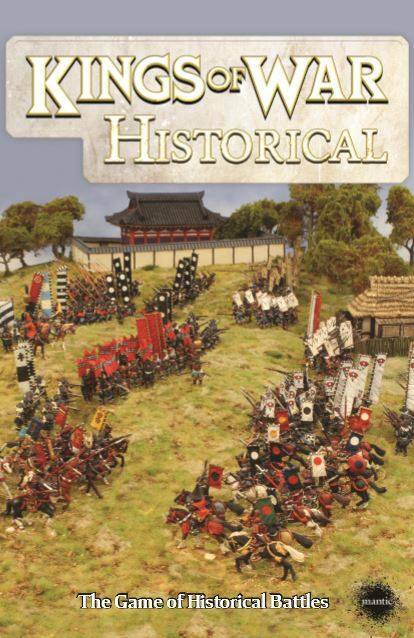 In September Mantic is releasing the long awaited "Kings of War : Historical" game. Not just a supplement - this book has ALL the rules for fighting battles throughout history (well up through about the War of the Roses or so). 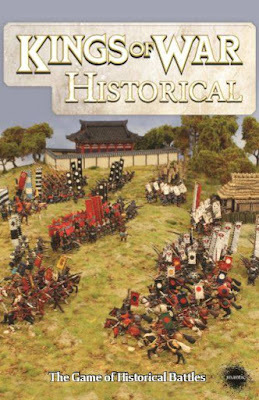 While not balanced and play-tested against fantasy armies, the lists in this book are fully compatible. There is one rule change (hills are difficult terrain when charged over unless the unit starts on it). There are some new special rules (I like cover(n) myself - think of this as anti-piercing - it modifies the wound roll downward when shooting at this unit (think of Roman shield walls)), but nothing game breaking. And there is even an appendix with mythological monsters for each army list, if you want to move them to fantasy. From all the buzz about this book I highly recommend reserving your copy now - I won't be surprised to see it sell out quickly (and have to get another print run). October gets exciting because of some long (at least by me) awaited releases for Kings of War - Earth Elementals and Sea Serpent Riders are both coming! 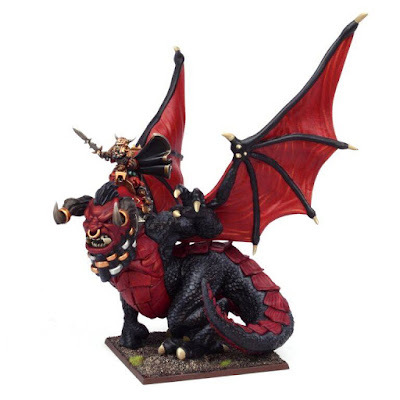 The sculpts for these are pretty amazing - I know I want them (and just for demo armies)!. Nature is not the only force getting new models - the abyss is getting reinforcements with Tortured Souls and Hellhounds. My wallet is already crying out in pain, and the releases are still two months from hitting shelves! And if that isn't enough to wet your fantasy appetite - Dungeon Saga is releasing the last of the kickstarter expansions in September with the Tyrant of Halpi set. Yes, you finally get to fight against a Dragon with your favorite band of adventurers. Mantic is also releasing another set of four adventurers - four new metal miniatures (only the undead jester was part of the kickstarter) with (they have promised) rules to follow. The Dungeon Saga kickstarter has finally shipped all the pending orders (yes, I got a HUGE box at the end of last month), and theu will not longer be shipping missing/damaged items after September 4th - so if you have an issue get it in NOW. (They can't leave these open forever you know). If you are more interested in the high tech sci-fi games - well in anticipation of the Warpath release that is looming on the horizon, Mantic is now releasing individual model sets to start to build your units. 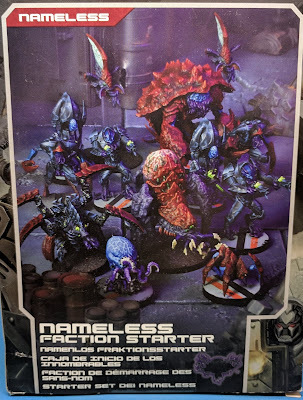 So you don't have to buy a Deadzone starter or booster to get that one type of miniature you want more of (can you say Veer-myn Night Terror?). Enforcer Peacekeepers, Enforcer Jetbikes, Forge Father Forge Guard, Forge Father Iron Ancestor, Veer-myn Nightmares and the Veer-myn Night Terror are all being released as units in September. Plus if you really like the big stompy Striders/Iron Ancestors - Mantic is also releasing sets of three of each - and each set includes a set of the kickstarter upgrade bits (Strider Burst Laser and Iron Ancestor 'Doomstorm' Hailstorm Cannon Upgrade). These go with the August releases of Enforcer Pathfinders, Enforcers, Strider, Forge Father Brokkrs, Forge Father Steel Warriors, Veer-myn Night Crawlers and Veer-Myn Progenitors. However they aren't stopping there. For those Deadzone plague players October is the long awaited release of the new plague starter and booster. 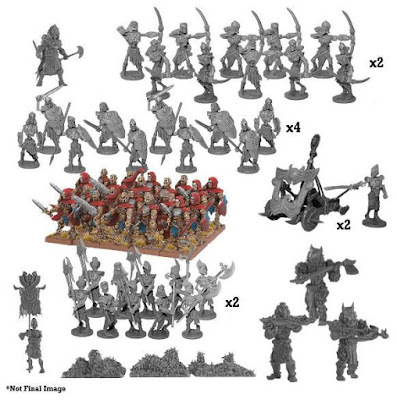 But they also get some warpath love - so the new hard plastic 3rd gen troopers are also coming out, as well as separate sets of 2nd and 1st gen models, plague zombies, and the plague Aberration! 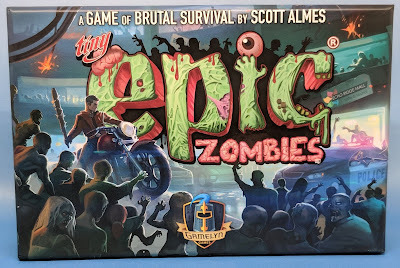 Speaking of zombies, Mantic was showing off both the kickstarter and commercial packaging for The Walking Dead: All Out War. The packaging this time is going to make it harder to make a mistake than to get it right. I believe these are on the slow boat from China, and are going to start shipping on October to kickstarter backers (just in time for halloween!). Look for some new, retail exclusive, boosters to come out with the retail release as well (Rick on horse, and the Governor himself!). Our gaming club, the Ohio War Kings, is starting to pick up steam. We are moving our meetings to Friday nights (still at the Hobby Shop) starting September 9th. So come by and play a game. We are not just about Kings of War - but also Warpath, Deadzone and Dreadball - and we are looking to be hosting some more events soon, as well as working out our schedule for a bigger, better presence at Origins in 2017. In addition to Kings of War, we will be teaching Deadzone and Warpath, as well as the annual Dreadball Origenes Cup! Contact me if you want to be able to earn a half price discount on your badge, or even a free badge altogether! Keep checking my blog - it is full of pictures and more mantic musings, as well as hobby tips and even the occasional gaming information that isn't Mantic related (*shock*).